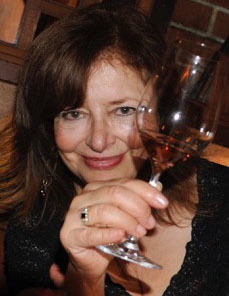 I do love good food and yes, wine, which in moderation, has low carbs–Yea! Susan L. Brown (that’s me!). I grew up in Ohio, went to university in Chicago, moved to Canada and then to California, where I now live in Santa Cruz. I learned about good food and wine from my German parents and grandparents. We ate home cooked food, with lots of vegetables and salad at every dinner, and mainly whole grains. We thought that was the normal way to eat as we didn’t know any different. What’s great is that now the proliferation of farmers’ markets, the slow food movement, organic fresh vegetable-to-home deliveries, farm-to-table restaurants and organic cooking schools are bringing back what we know are the healthiest ways to cook and eat. Not only is this food healthy, but it’s delicious! My “Type2 Delicious” blog will share the journey to health that my partner and I have been experiencing, prompted by his being diagnosed with Type 2 diabetes. Even if you or your loved ones don’t have the disease, I hope you’ll find the recipes delicious and easy to make! I also invite you to please share with me your favorite recipes and cooking methods. Would you like to link ours together? Hi Susan! Your blog is Great. I just linked it into my Blogroll. Link me back? Glad to. How do I do that? It’s something I need to know! I love to read some of your articles/blog posts and I am highly impressed by the passion you had for the food. I wonder whether your this blog is on FIRST GOOGLE PAGE for local google search you that more people get in touch with you. Susan! you know what – 85% of users online only checks FIRST PAGE OF GOOGLE. Get in touch and get free initial SEO analysis for your website. sure–give me your free analysis –also what other blogs do you work on as examples? please send me links. However, I’m interested first in a one-time SEO update/ranking improvement, not necessarily a long term contract. If that’s ok with your group. you can email me at susan2del@gmail.com. I went through your requirement for SEO services and I am optimistic that one of our Virtual Assistant would be ideal for the role. We are a CMMI Level 3 certified team of 500+ Virtual Managers/ Assistants. I would be happy to discuss things further over the phone or Skype. If that works for you then please confirm a good day, time & medium to reach you.